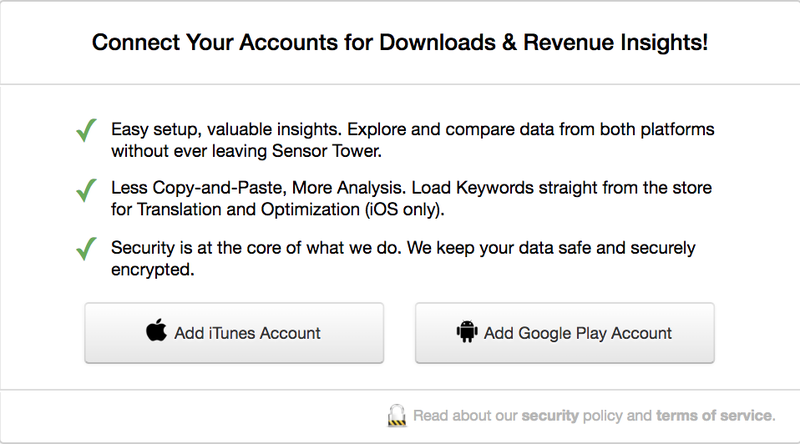 Sensor Tower’s App Intelligence product also allows you to connect your Google Play Developer account to the platform so that you can pull in your Sales metrics and other useful metrics to run analytics on. This way you can track analytics both for IOS and Android in a very easy to use interface. On the next screen, type in the Name of your app and click on your App. Enter your Google Play Developer Username and Password on the next pop-up and click Continue. Navigate to your Google Play Console. Search and Select your app. Scroll to the bottom of the page. Copy any of the Direct report URLs and paste it in the last step. Once you have pasted the Dev ID or this URL, click Finish. The connection may take up a day to pull in all of the data from your Google Play Developer Account.